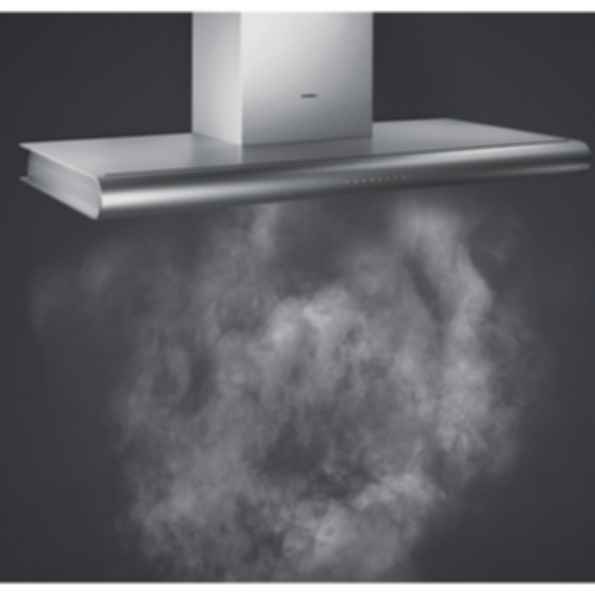 Wall-mounted hood AW 280/AW 281The AW 280 boasts Gaggenau's exclusive Coanda ventilation technology. The unique shape creates an additional air current along its front edge. This air current traps rising condensation before it has a chance to escape over the edge of the appliance and drives it straight into the inlet. Like the Al 280 island solution, the AW 280 delivers a level of performance in normal mode that conventional systems achieve only when running at maximum speed.